Even something simple like an oil change can benefit from professional experienced technicians who can identify future potential problems. Knowing what can and will go wrong in the future while making recommendations is something a “quick lube” or chain store techs just can’t do. Identifying safety issues can not only save you money but, they can keep you from being unexpectedly stranded. That’s why we choose to offer our full synthetic oil change at our cost- a value at $65. It allows us to get to know your vehicle, and better prepare you for the costs down the road. Fluid MotorUnion Also gives our own oil service life recommendations. Unlike the manufacturer’s recommendations that are determined with cutting production costs, ours are formulated using our own experience fixing real world issues on vehicles just like yours. We aim to maximize the investment that is your vehicle with our expert service recommendations. What do I get with my oil change? You get an experienced technician that looks over your vehicle. While performing your oil change, they will be able to quickly identify if you have any issues that will soon need attention. This differs greatly from a Lube Tech or C-level tech, as our experienced techs will be able to identify problems that could cost you money further down the road as well as prioritize future repairs. Below is a rundown of a typical Fluid MotorUnion Vehicle inspection. 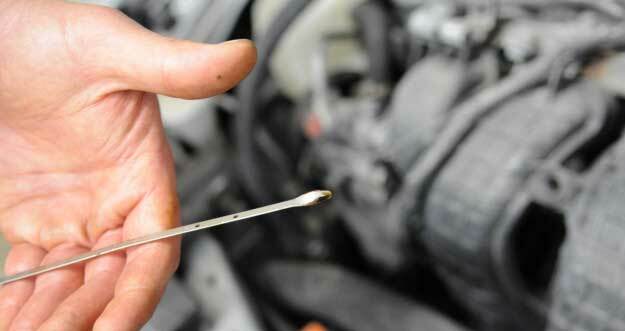 This is the same inspection we do during every $65 Full Synthetic Oil Service. This is a great way for us to see the overall condition of your vehicle. Determine noises and general feeling of the vehicle.